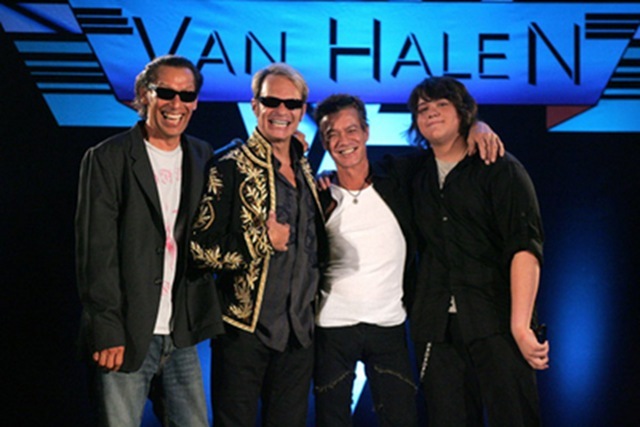 De acuerdo a Van Halen News Desk, Van Halen ya está mezclando su nuevo álbum, el cual está a punto de concluir su etapa de grabación con el productor John Shanks. El LP se editaría en el otoño de 2011. Esta producción será la primera con David Lee Roth desde el redondo 1984; y las primeras grabaciones con el frontman desde el recopilatorio con dos cortes inéditos de 1996, Best of Volume I. Here is another good reason to take back Congress:For those who are listening to those propagating the fallacy thateverything is “Bush’s Fault”, think about this:January 3rd, 2007 was the day the Democrats took over the Senate and theCongress:At the time:…The DOW Jones closed at 12,621.77The GDP for the previous quarter was 3.5%The Unemployment rate was 4.6%George Bush’s Economic policies SET A RECORD of 52 STRAIGHT MONTHS ofJOB CREATION! Great post, I believe blog owners should acquire a lot from this web blog its very user genial . “My father always told me, ‘Find a job you love and you’ll never have to work a day in your life.’” by Jim Fox.